The EinScan-Pro+ has several improvements over its predecessor. With the new-generation Handheld HD Scan mode, you can scan high detail with a high scanning speed. The scanning range of the EinScan-Pro+ is 1.6 times larger compared to the EinScan-Pro. This makes it much faster to scan large objects. The EinScan-Pro is your best choice for capturing real-world data to convert into a digital 3D model. With both handheld and desktop scan capabilities it is a high precision scanner for both consumer and commercial applications. The EinScan-Pro can be used for wide variety of applications like manufacturing, engineering, design, research and development and full body scans. 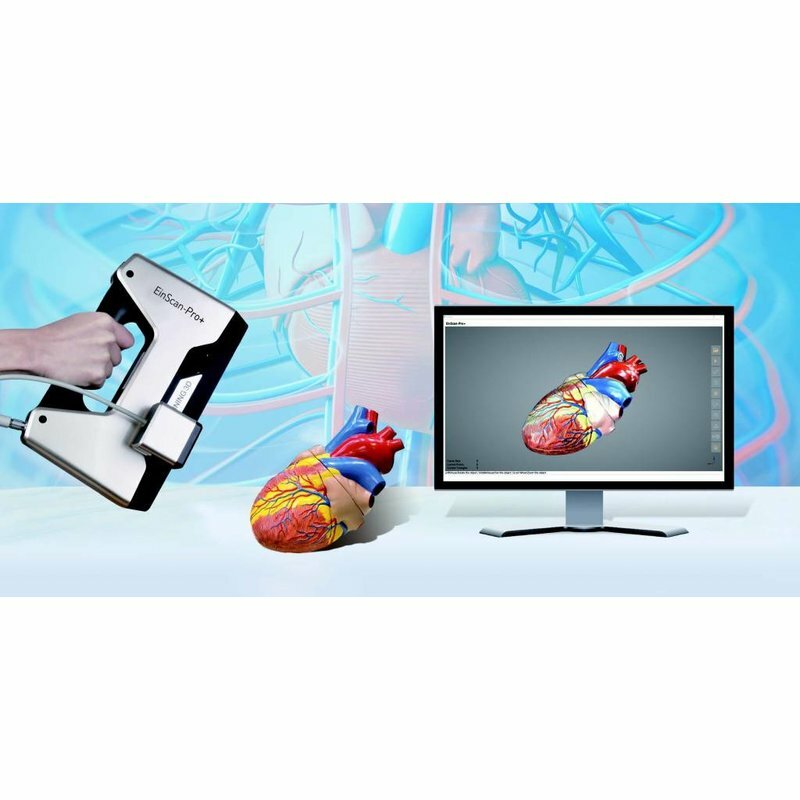 The EinScan-Pro 3D scanner offers both portability and accuracy because of its four versatile scanning modes: Handheld rapid scan, Handheld HD scan, Automatic scan, and Free scan. By using different add-ons, the scan modes free scan and Automatic scan can be enabled. In combination with the Color pack add-on, the EinScan-Pro can capture objects with full-color and texture data. This can be used in applications like computer graphics, animation, game development, digital archiving, prototyping and full-color 3D printing. By utilizing one of the add-ons for the EinScan pro, a variety of possibilities can be enabled like the free and automatic scan modes and full-color scanning.